Comical and personal, sometimes sad, but above all focussed on globetrotting. In this book Tamina Kallert tells of things not shown in her film reports. 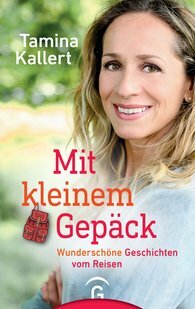 For her programme "Wunderschön" the popular travel journalist has been to over 70 countries and regions. She hikes, cycles, drives, goes by train, climbs up volcanoes, rides on camels, visits remote villages, lonely islands and vibrant cities. Her big passion is travel and she loves diving into worlds as yet unknown to her. With her warm-heartedness and cheerfulness she opens the hearts of all kinds of different people.